Take a few lessons from Addie Gundry and life will be slow . . . and awfully tasty! Nothing says comfort food more than the aroma of a warm, slow cooked meal wafting through your home. 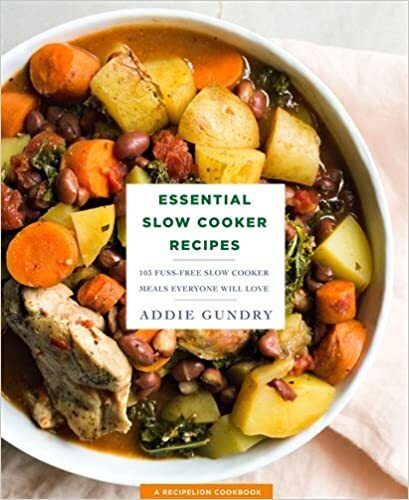 In her newest cookbook Essential Slow Cooker Recipes: 103 Fuss-Free Slow Cooker Meals Everyone Will Love (St. Martin’s Griffin, $19.99), Food Network Star finalist Addie Gundry revolutionizes recipes for the perfect hearty slow cooked meal.From classics like pierogi casserole with sausage to Asian specialties like soba noodles with vegetables and orange chicken, Gundry has it covered. Simply put everything in a slow cooker, then sit back, relax and sniff. A slow cooker is the ideal partner in crime when it comes to tackling dishes that can be too time and work-intensive for every day, like French onion soup or chicken cordon bleu. In her cookbook, Gundry goes way beyond the expected soups and stews offering up recipes for appetizers like BBQ meatballs, breads and make-ahead breakfasts like banana pecan French toast . . . not to mention slow cooker twists on beloved recipes like lasagna, meatloaf and stuffed peppers.